The process of blood transfusions, started in the late 19th century and perfected in the early 20th century, were a big advancement in modern medicine and the treatment of human health. Part of the improvements in this procedure was the discovery of the various blood types in humans, and how that affects how the immune system responds to and “accepts” blood transfusions. Recently, researchers from the University of British Columbia may have found a reliable way to use a bacterial enzyme from the human gut to convert any type of blood into type O – which is compatible with nearly everyone. There are four blood types (A, B, AB, O) distinguished by the presence of antigens, which are sugars that lie on red blood cells. Type A blood has A antigens; type B blood has B antigens, type AB has both, and type O has no antigens. If you try and mix blood from two incompatible individuals (i.e. transfuse blood of different types) the immune system “rejects” the new blood by attacking and destroying the transfused blood cells. This is because, in a simplistic sense, the immune system is designed to recognize antigens on native red blood cells and combat any blood cells that have different antigens. It is because of these mechanics people with type O blood are considered universal donors (type O blood doesn’t have the antigens to trigger an immune response from someone with a different blood type), and people with type AB blood are considered universal receivers (type AB blood contains both antigens so the immune response does not “reject” any blood type). This is a simplistic presentation of how blood dynamics works that is not accounting for things like the Rh factor. Because of the dynamics between blood type and immune response, it’s easy to see the value in being able to convert other blood types into type O blood. The gut microbes used in this advancement are really effective at breaking down sugars found on proteins in the intestine. The processes by which they break these intestinal sugars down is fundamentally similar to removing the antigens found on red blood cells (antigens are also sugary); through this approach type AB, A or B blood would be converted into type O. 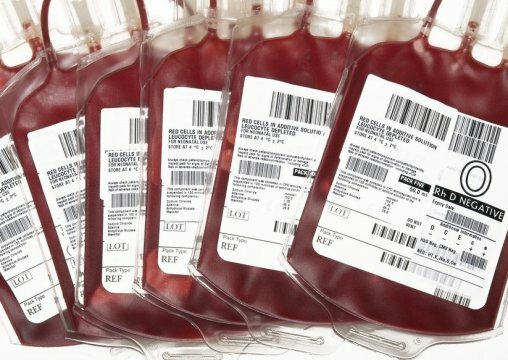 Though this approach is not ready for primetime just yet, once affirmed, refined, and scaled, it is a potential game-changer for blood transfusions. Apple’s war on repair, mining the deep sea, reflecting on the mid-terms, (not) repelling sharks, and more! Monday Morning Salvage: November 12, 2018. LarvaBots, turning the tide on captive dolphins, horror fish from the deep sea, ARA San Juan found, and more! Monday Morning Salvage: November 19, 2018.